A world-renowned authority in electromagnetic theory, Dr. Clayton R. Paul, Sam Nunn Eminent Professor of Aerospace Engineering and professor of electrical and computer engineering at Mercer University in Macon, Georgia, has been responsible for many seminal advancements in electromagnetic compatibility (EMC). His contributions in modeling and quantifying interference on cabling between systems have laid the foundation for today's benchmark methods used for assessing and mitigating electromagnetic interference (EMI) in complex wire and cable arrangements. 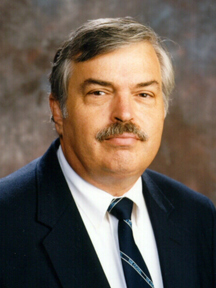 He is professor emeritus of electrical engineering at the University of Kentucky, where he served on the electrical engineering faculty for 27 years. His course on EMC at this university was among the first of its kind. He has published 15 textbooks and more than 150 papers and reports. A Fellow of the IEEE, Dr. Paul is the only two-time recipient of the IEEE Electromagnetic Compatibility Society's Richard Stoddard Award for Outstanding Performance. He is also an honorary life member of the IEEE EMC Society. This page was last edited on 20 January 2016, at 19:25.